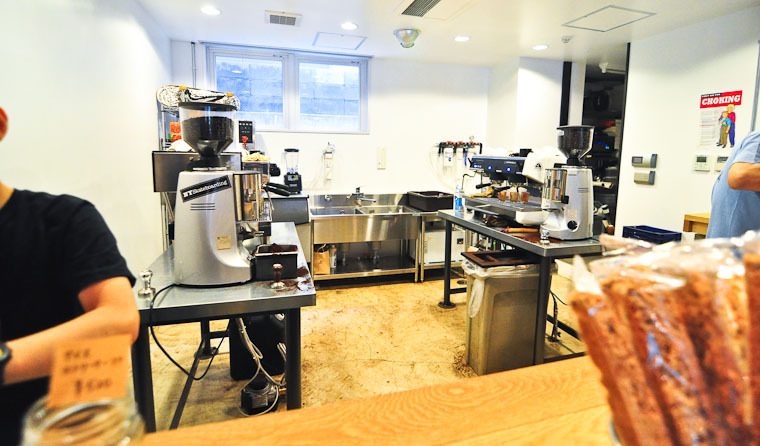 Streamer Coffee is a cool cafe located in a more residential part of Shibuya, not far from the station. 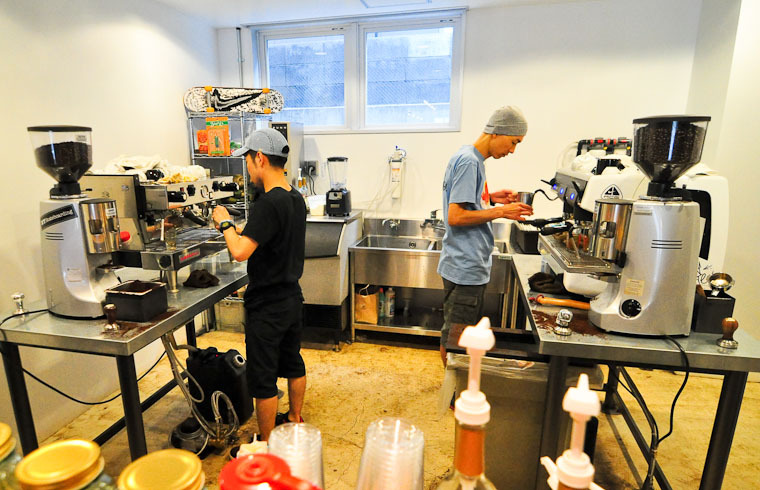 It’s run by Hiroshi Sawada, a latte art champion, along with Takehiro Kato. 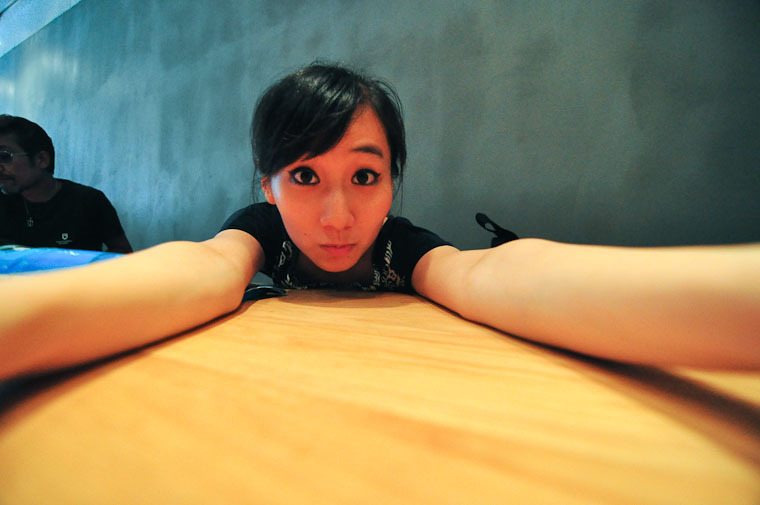 They have quite an ambitious array of branded products (t-shirts, leather cup-holders, glass jars, etc. etc. ), including some co-branded with Espresso Parts (you can read more about their relationship on Espressoparts’ blog here and see many of these items on Streamer’s website). It is a nicely designed space, balancing cold concrete with warm wood tones, it’s minimalist without feeling too stark. It’s also full of Japanese hipsters browsing the net on their iPads, which makes for fun people watching. 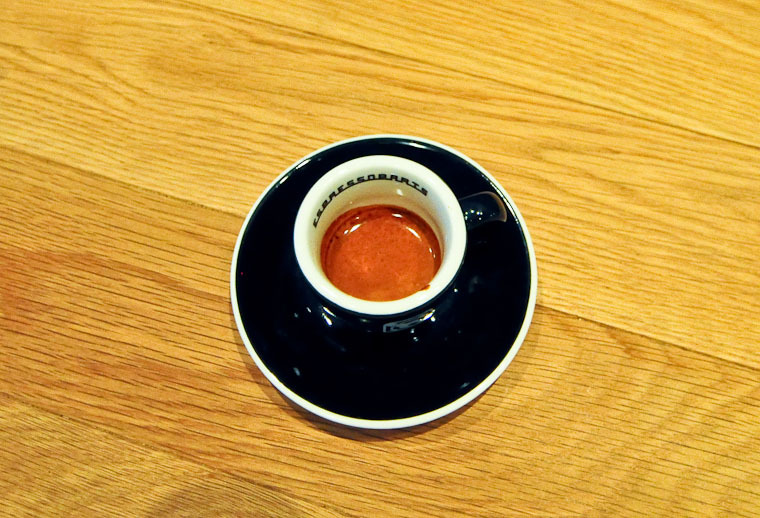 Streamer sits on the more extreme (and possibly controversial, among cognoscenti) end of espresso practice by pulling triple-ristretto shots. If that sounds like gibberish to you, it refers to packing 3 shots worth of ground coffee into a single, larger filter basket, and then producing a shot volume somewhere between a single or a double. In other words, it’s super concentrated, with a more buttery, viscous mouthfeel. I watched as the barista pulled several shots until he was happy with the tiny dribble into my demitasse. Tastewise I enjoyed it, though I’d be curious to taste the blend they’re using pulled under more typical parameters. I like their simple but effective bar setup. Claire can’t wait for her iced latte. My triple ristretto served up in an Espressoparts demitasse. Enjoyed it. Would I have enjoyed it more as a double ristretto? Or a traditional double? Or a single? Or pulled on the La Marzocco vs. the Aurelia? So many ponderables. 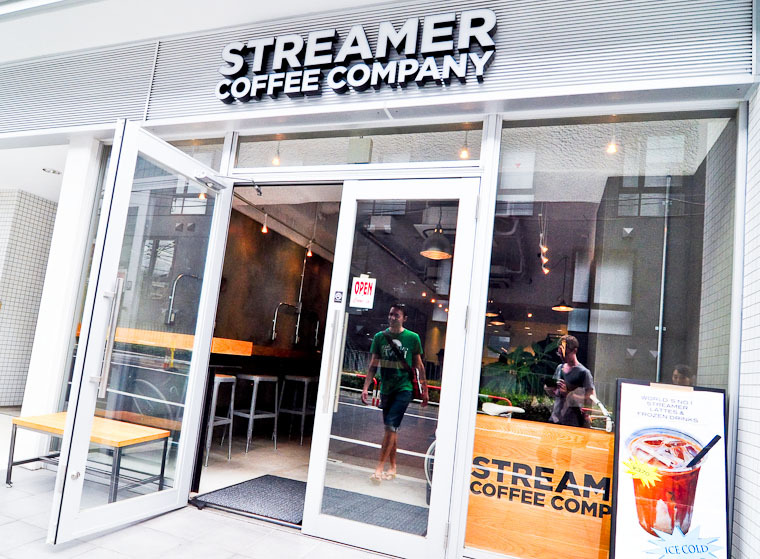 Click more to see a map to Streamer Coffee.